Last week, we received the first corn of the season in our CSA, and this week, the first tomatoes! 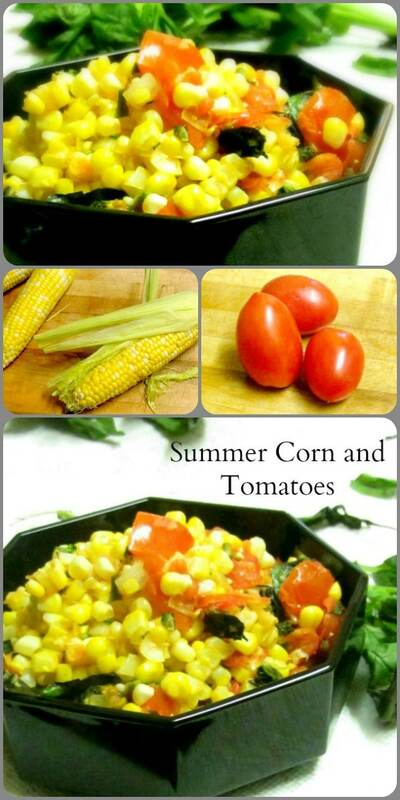 I sliced the first perfect, beautiful heirloom tomato to eat alone and savor… But we have several plum tomatoes, and a few ears of corn, and I thought I would share one of my favorite, and simplest, summer recipes for corn and tomatoes with you in time for you to enjoy it! 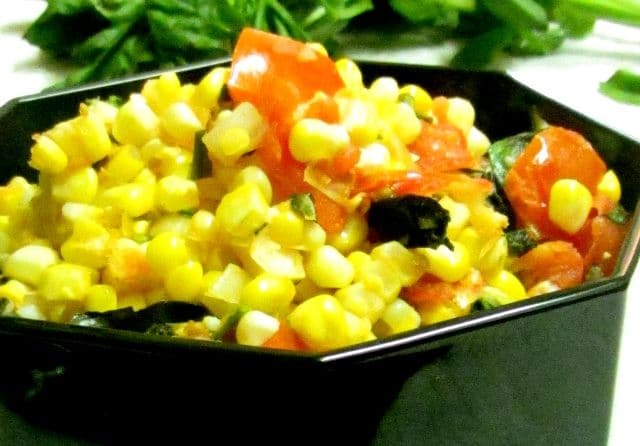 When I want to cut corn off the cob for use in a recipe like this, I have found it works best if I microwave it just a few minutes to cook it very slightly. 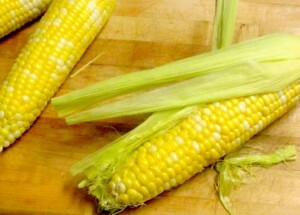 When I use a microwave to cook it for eating on the cob, I usually use five minutes for two ears – for this, I cook it just two or three minutes for two ears. (Longer for more – remember microwave time is remarkably imprecise, and varies with the amount of food being cooked.) Then I let it cool, to make it easier to handle. 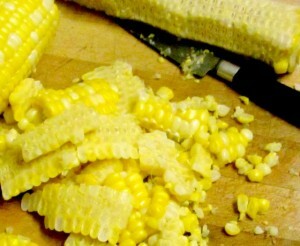 When I do this, the now softened husk pulls back, the silk slips right off, and I can cut the kernels off the cob without them popping all over the kitchen, as they can when raw. Obviously you can skip this step – but I find it makes handling the corn easier. Anyway, once the onion is soft and starting to brown slightly, add the corn and stir. If you did not microwave it before, cook it a minute or two – if you did, remember it is already partly cooked. Add the tomatoes, stir, and heat. They will soften and start to release liquid. I had fresh basil, which complements these vegetables perfectly – I shredded it while the mixture started to cook, and then added it. If you don’t have fresh, you can add dried, though it’s not as bright tasting, or stir in a little pesto at the end – or skip it all together. We could eat this all summer. As a side dish. Over rice or pasta. With cooked meat added. 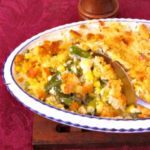 With other vegetables – peppers (hot or sweet) are perfect, but also summer squash, or anything else that also cooks very quickly. 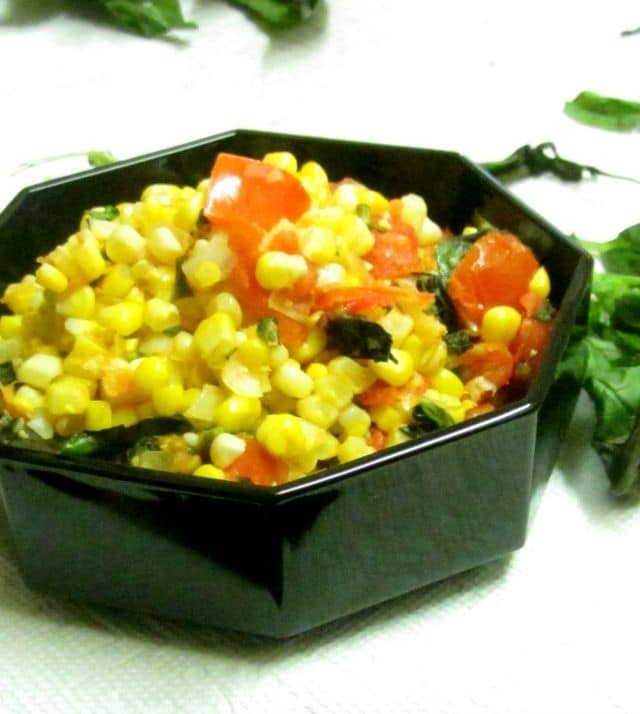 Very lightly saute fresh corn and tomatoes for a delicious and easy vegetable recipe that tastes like summer. Chop onion. Heat oil in pan, add onion, saute until softened. 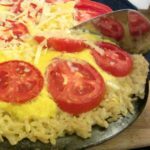 Add tomatoes to pan. 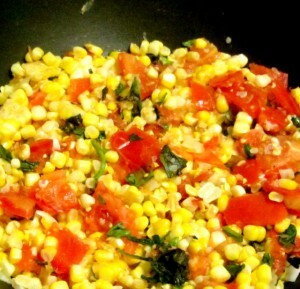 Saute until tomatoes just start to soften and release liquid, and both corn and tomatoes are heated through. Add basil and stir to heat.